1. Mix the egg and flour together, and then set aside. 2. Season fish with ¼ tsp fine salt then add to the batter. Afterwards, fry the fish until golden brown and then set aside. 3. Sauté onion, ginger, carrots and bell pepper in oil for 2 minutes. 4. 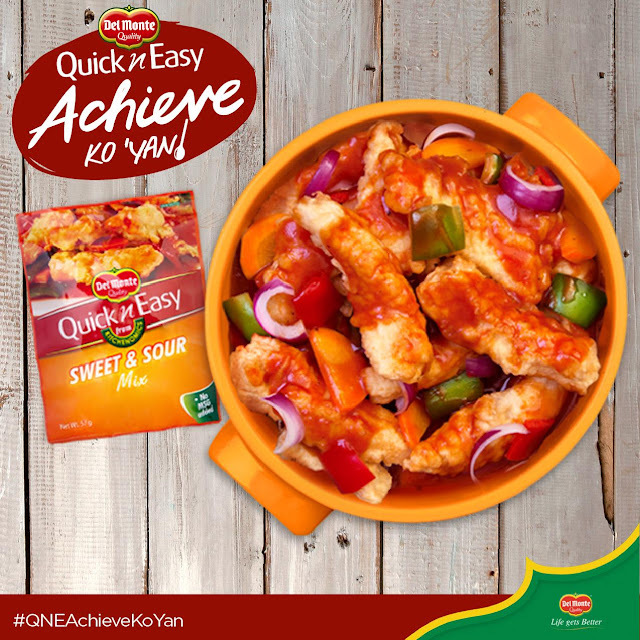 Pour in dissolved Del Monte Quick ‘n Easy Sweet & Sour Mix, stirring continuously until it boils. Then let simmer until it thickens. 5. Pour sauce over the fried fish then serve.